Hello, Guys. Welcome to DJ Travel Experience. We are Dines and Hans from The Netherlands, two ordinary people who enjoy the ordinary things in life. The only luxury we give ourselves is to travel and see the world (at least, some parts of it). Because travelling could be very expensive, we had to find a way to indulge ourselves with this luxury without sacrificing a big chunk in our budget. Thus, after a lot of discussions and disagreements, we finally decided to purchase a second-hand mobile home (camper) which would take us to many travel destinations. Why a mobilehome, you may wonder. Having done many short travels here in Europe before, we realized that we haven’t really maximized those trips, as we had limited time, budget, mobility and freedom. Now that Hans is already retired, and I no longer work, time has become our friend. Now, we have the chance to travel around, with so much freedom, but within our means. This site serves as a venue where we can share with you our travel adventures in whatever manner it may be. We invite you to tag along with us as we travel and discover some of Europe’s best (and not so good) places. Come and experience with us life on the road. 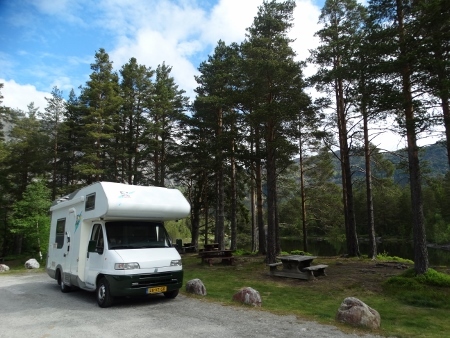 Our travel buddy, whom we fondly called D’Traveller has been with us since 2013…It is an Knaus 575 from 1997. Some may think that it is what old…ánd it is true… but we considered ourselves lucky to have it. Imagine us going as far as Belgium and Germany searching for a good one, and ending up finding and buying D’Traveller in our own country, just 50 kilometers where we live. Anyway, Hans has made some needed modernisation: installed solar plates on the roof, bought extra accus, put in a power convertor, changed the roofwindow, installed a camera and pimped the RV a little bit. Those were not easy tasks, and it helped a lot having a handy partner. And after some tests, D’Ttraveller has passed and has been our partner ever since…and we are hoping it stays with us for a long time and bring us safe to wonderful destinations. I just discovered your weblog. It’s very good! But is there a reason it is in English? I understand! It looks that you look for the same things as we do. End of May we will take off on a ten week trip to Scotland. I hope you can find the time to check my weblog? Coming October we will leave for Spain and Portugal where we surely will use some of your experiences. Travel safe, Jielus and Lyka (from the Philippines). Hello Jielus…we wish you all the fun in your travels. Scotland is one of our dream travel destinations; we are still figuring it out how to make it come true 😉 hey, you’re my kababayans 😉 Mabuhay!! !